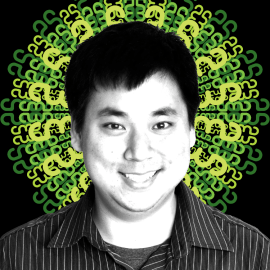 Larry Kim is the founder of WordStream, the world's largest PPC marketing software company managing hundreds of millions of dollars of ad spend for thousands of companies world wide. His free tools for AdWords, Facebook Ads and keyword research have been used by millions of marketers. The company employs over 200 people and has been on the Inc 5000 list of fastest growing companies in America for 5 consecutive years. He won the top search marketer of the year awards from PPC Hero, Search Engine Land and the US Search Awards. Larry is the CEO of MobileMonkey, a chatbot/AI start-up.